‘…our eternal home is waiting for us and we are just passing through this world…we are here to bring hope through Christ to those who have none. 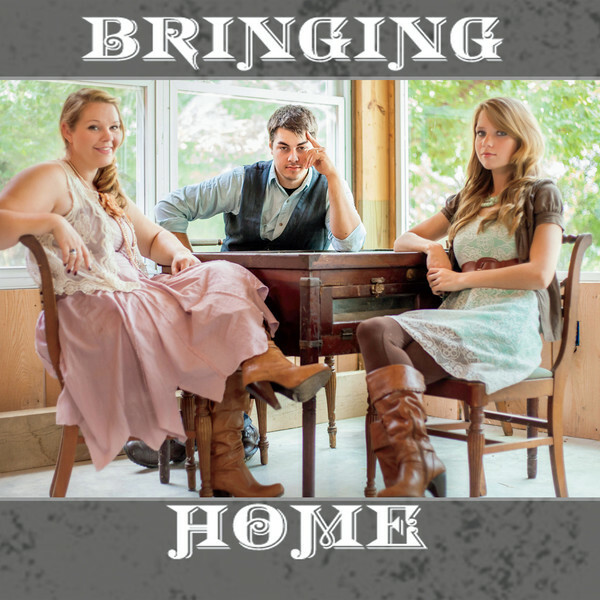 We are bringing the hope from our eternal home here to this world…’ Bringing Home, a band out of Southern Illinois town McLeansboro, formed in 2012, and now 2 years later, have released their first EP at the end of August 2014. From first listen, you can hear musical similarities between them and other Christian/southern gospel/country bands like Third Day, Red Roots, More Than Rubies or needtobreathe; a genre that quite frankly isn’t necessarily as represented as they probably would like, considering the amount of CCM radios give to the airwaves currently (which isn’t a bad thing though, nevertheless, it would be nice to have a station that tries to play all genres, rather than just the radio friendly material). With their first EP of 5 songs quickly shooting up my list of favourite EP’s of the year by a debut indie artist, these young men and women of Illinois showcase to us a theme present in each of their tracks- that hope is here and ready to be grasped by anyone in need of it. From the current single “Stand” to the powerfully emotive “Reaching Out” and the fast toe-tapping “Love Has Come”, this southern gospel flavoured country tinged pop EP is enough for listeners to be interested in a genre that may not necessarily come as easily to listen to, to some, but can be equally rewarding as we understand that it is hope that encourages us on our walk through this temporary place, and that it is in our God-given nature to share it with everyone we meet. The first single from the EP, “Stand” sets the scene for this southern rock/CCM band that has just enough country undertones to the songs on the EP to deem it possibly too ‘different’ for the radio airwaves- yet maybe sometimes different isn’t necessarily a damning and bad thing. “Stand” in fact is quite the opener. Reminding me vocally of Will Chase’s Luke Wheeler on ABC’s Nashville, Bringing Home’s lead singer Jared Russell invites us all to declare the words alongside him; that we will realise and trust into the solid rock which is God, in which we stand upon. With banjos, light electric guitars, and a country twang in Jared’s voice, the band unveil that they will ‘…fight the fight when the fight is endless, and I will run my race though I see no finish, and dreams may fade away but I won’t lose vision, and I will make my stand on You…’ (something we all would need to declare with authority if we truly assert Christ to be our compass, guide, and Saviour). A great song to begin the EP, and one that is a favourite of mine amongst rock/country/CCM artists; Bringing Home remind us that even artists from other genres and styles can be just as enjoyable as the songs we have been accustomed to grow up with and love (namely, radio friendly CCM tracks). The four remainder tracks showcase a wide variety of musical styles as Jared and his wife Amber invite us all to widen our own minds to hear music from unique and different perspectives. A little under 3 minutes, “Love Has Come” is heard like something out of a gospel album or a church with a choir, as Amber brings to us a style often rarely heard in Christian music (at least the popular section) today- southern gospel, with a tinge of country infused throughout. A song that reminds us all, through hand claps, a swaying beat, and a touch of powerful vocals, that ‘…love has come and hope is with you, the sun is shining right down on you…’, Amber has done a great job on a song that, while the shortest, is one of my favourites on this 5 track song collection. With strings and Jared’s emotive vocal (possibly even the most vulnerable song on the album in terms of subject matter) singing about longing to help a friend in need in “Hope Song” (which is where the band name comes from- from a line in the song), this last track on the EP becomes one of the most necessary tracks to listen to if you ever stream it on Spotify or any other streaming service; while “Awaken” alludes to the theme of us being woken up from our zombified states as we focus from the superfluous to the necessary, and “Reaching Out” captures the listener from first note with the violin as Amber sings about various scenarios where people are struggling in their real life- while also providing hope in the comforting chorus of how all we gotta do is reach our hands out and be saved from the lifestyle we often long to escape. Bringing Home EP shows us what diversity in Christian music looks like. As Jared also places things in perspective, in how ‘…the one thing we have to keep in our minds is that only through God can we reach those we intend to reach. God can take what we have written and make it go so much further than we could ever take it. It is only through Him that we are able to do this…’; I am fascinated about what this unique band can do in months and years to come with their music and craft. While I was initially not going to review or even listen to this album- I’m so glad I did. Bringing Home are a band to look out for in the near future, and are a band to check out if you are a fan of similar contemporaries like Third Day, Red Roots and needtobreathe. Worthy to be remembered as one of my favourite EP’s of the year by an indie artist; Bringing Home are sure to continue their songwriting skills and show us another EP/full length album whenever it is time to record is right (maybe next year?). Well done guys for such an inspiring and encouraging EP! Previous PostMessage Mondays: Building Up Our Kingdoms (Casting Crowns’ “American Dream”)Next PostThrowback Tuesdays: TobyMac’s “Gone”! What I like so much about this album is that it has a raw, but well marinated, flavor to it. There is a feeling of vulnerability from the lyrics to the tone of the voices. There is a sense of aw of the as the quality and instrumental skill is heard. What it means to give hope in today’s world can be an emotional and painful endeavor spiritually. From the pride in people to the prejudices toward the church institution giving hope is not easy. I love the passion you feel when you listen. It inspires and moves in our hearts as we sing along. Let our life sing to the world “Just reach out your hand”.